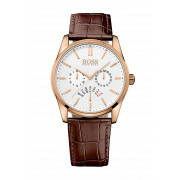 Classic yet stylish, this watch from Hugo Boss would be a great accessory to wear with a suit or smart separates for a night out with friends or family. 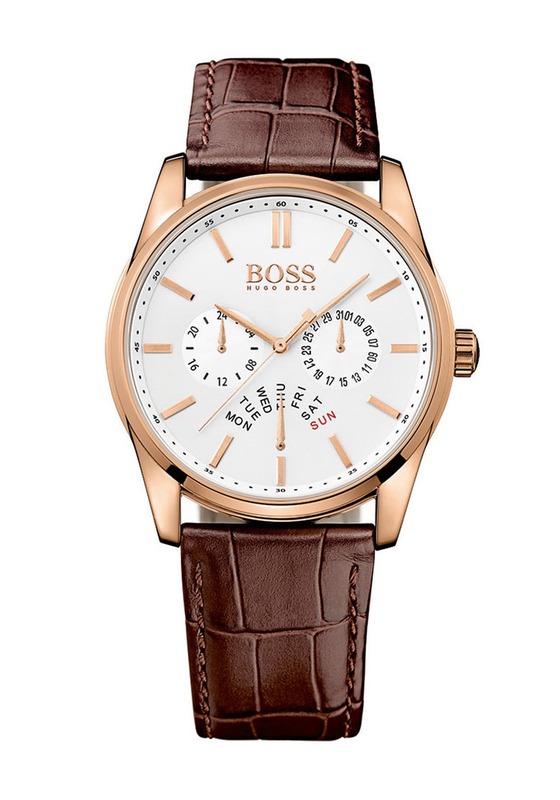 The brown leather strap has an embossed crocodile print and is complemented by a rose gold bezel. The white face features time markers and smaller sub-dials for day, date and 24 hour functionality.